HH System UK - specialists in medical and commercial refrigeration, and organiser systems. HH System UK was founded in the mid 1980s by Associated Chemists (Wicker) Ltd to import the Austrian designed and manufactured H+H System range of dividers and organiser products. The range of products sold by HH System UK gradually increased to include commercial and medical refrigeration and the expanded range of organiser products manufactured in Austria by H+H System GmbH. Our small, friendly team ensures our customers get to know the people they are dealing with and don't feel like they are being passed around anonymous call centres. We have extensive knowledge of the products we sell and help and advice, both pre- and post- sale, are only ever a phone call or e-mail away. We pride ourselves on offering excellent service and our customers keep returning because of this. HH System UK is an authorised Lec, Liebherr, Labcold and Shoreline dealer, offering our customers a wide choice of medical and commercial refrigeration with manufacturer backed support and warranty. We supply fridges and freezers suitable for use in many environments including the laboratory, ward and dispensary. All our dedicated pharmacy fridges comply with the latest GPhC's guidelines for the safe storage of refrigerated drugs. We also offer a range of portable fridges. We also supply a wide range of temperature monitoring solutions from simple digital temperature alerts, to USB data loggers along with chart recorders for calibration purposes. We have specialised in selling pharmacy refrigerators for over 25 years and have extensive knowledge of the products we sell, so are only too happy to offer advice pre-sales and provide any needed support and assistance post-sales. Running out of space in your dispensary, fridge, surgery, shop, office, factory etc.? 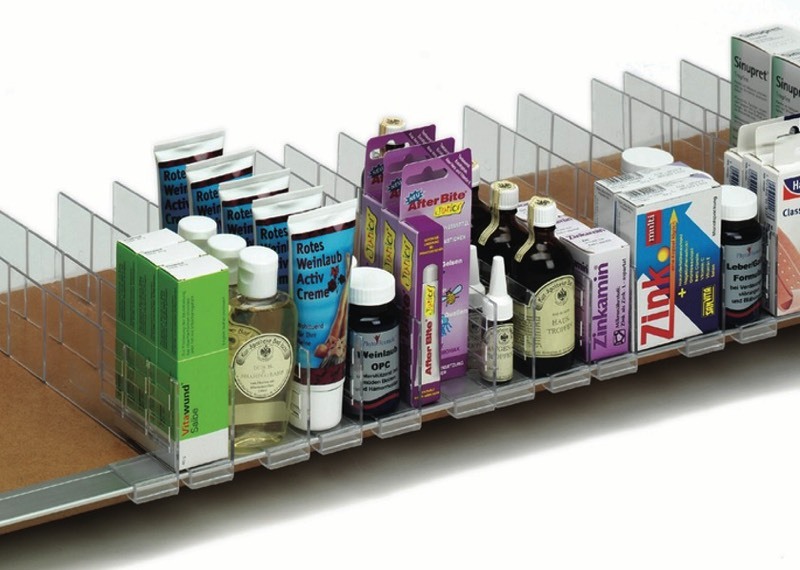 Want to better organise and display your product range and stock? Then we can help! The Austrian H+H System range of organiser products can increase your useable space by up to 30% whilst reducing picking-errors and stock holding. Organise your drawers and maximise space and storage efficiency. 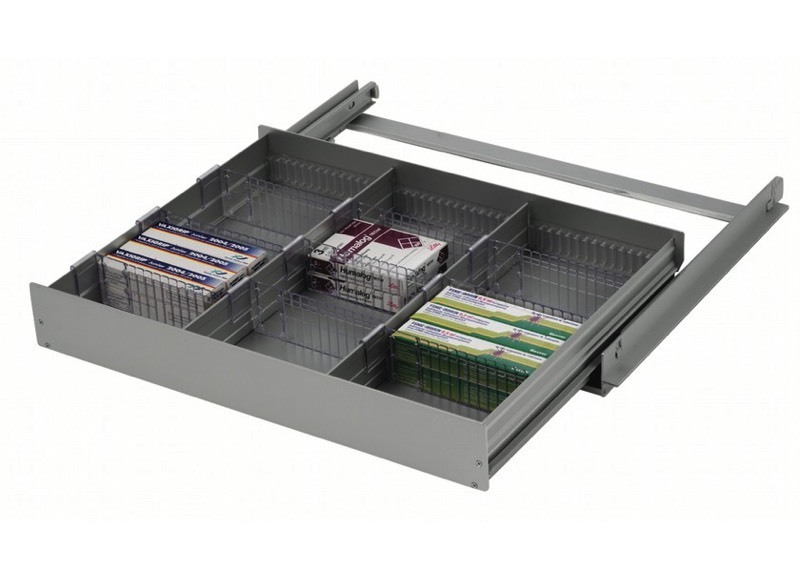 Our drawer divider system can be customised to fit almost any drawer and can be retrofitted at any time. Installation of three simple parts (taking less than a minute) transforms your drawers and can increase space by up to 30%. The system can be easily altered as your needs change and develop. 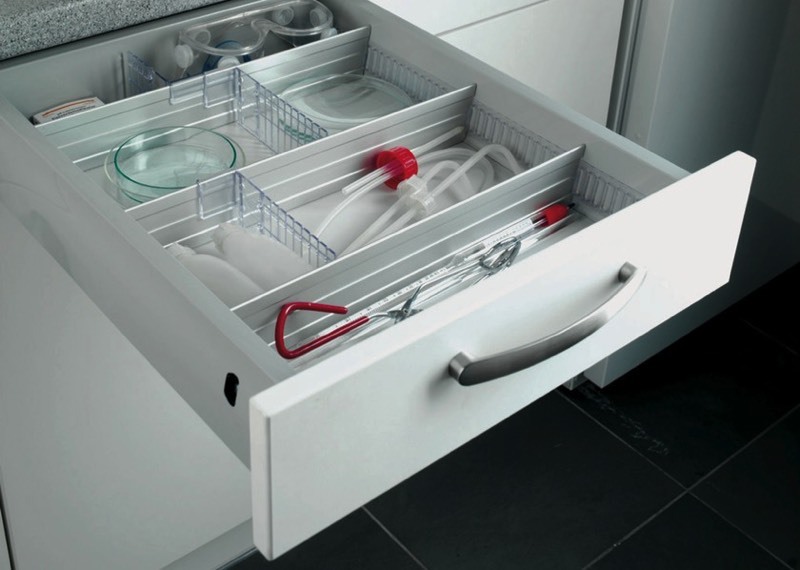 Say goodbye to messy drawers with the H+H drawer system solution. Disorganised shelves are a thing of the past with the H+H System shelf organiser solution. Customised shelving solutions can be used for either storage or display - the system fits both requirements. The dividers are discrete and do not detract from the products. Customers and staff can quickly find the desired product at a glance. 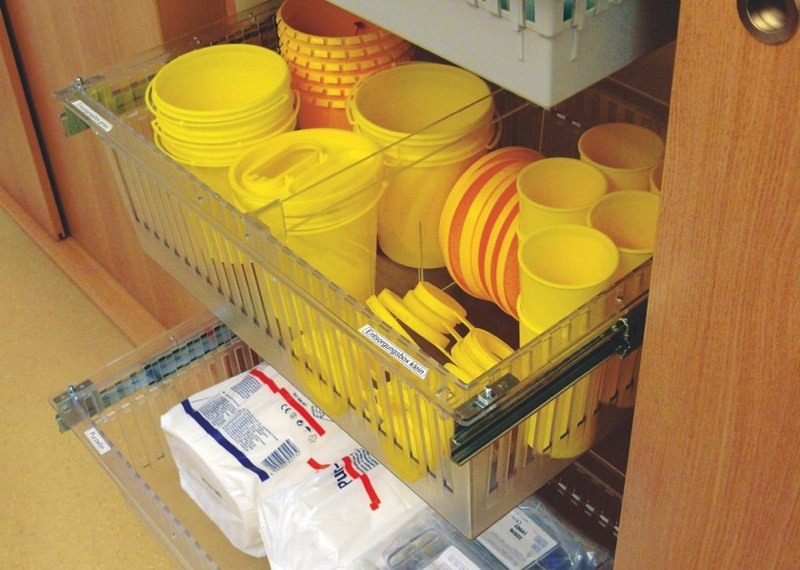 The system can be designed to fit almost any shelf and is easy to install and keep clean. Our fridge organiser systems allows your fridge stock to be clearly organised and easily accessed. The systems give clearly defined spaces where you can easily identify out of stock or low stock items. The existing stock cannot fall sideways and fill in the space left when products go out of stock. The sliding dividers slide easily along the rail so you can adjust the space allocated as pack sizes change. We offer a range of drawer systems based on the industry standard ISO and DIN sizes which can be customised to almost any requirement. These industry standard drawer system are used in hospitals around the world and maximise space availability whilst minimising errors. However, the drawers can be used for almost any purpose and offer unrivalled flexibility and can be customised to suit almost any environment. Expert help and advice, both pre- and post- sales is always available either by e-mail or by phone on 0114 275 6642. HH System UK is based in Sheffield and can be contacted at the following address: HH System UK, WMS House, 67 Wicker, Sheffield. S3 8HT.